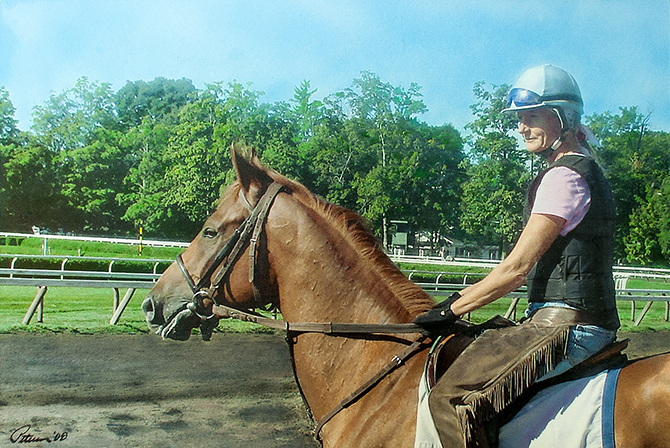 Between races, the trainers sometimes bring the horses out. Based on its eyes, I wasn't sure if this particular horse appreciated my being as close as I was. In any event, I originally did not intend to go for every detail, but somehow ended up working fairly extensively on this painting.